Dublin City has seen “a definite improvement” for cycling in the last five years, an independent report says, but it warns that targets will not be met if the momentum is not stepped up. It highlights how one-way streets and large junctions are not being tackled. The Bypad report written for Dublin City Council was finalised earlier this year, but was not reported on until now. It called Dublin Bikes an “undoubted major success story” and welcomed the 30km/h speed limit in the city centre, but said progress is “insufficiently” quick for the targets in the government’s national cycle policy to be achieved. 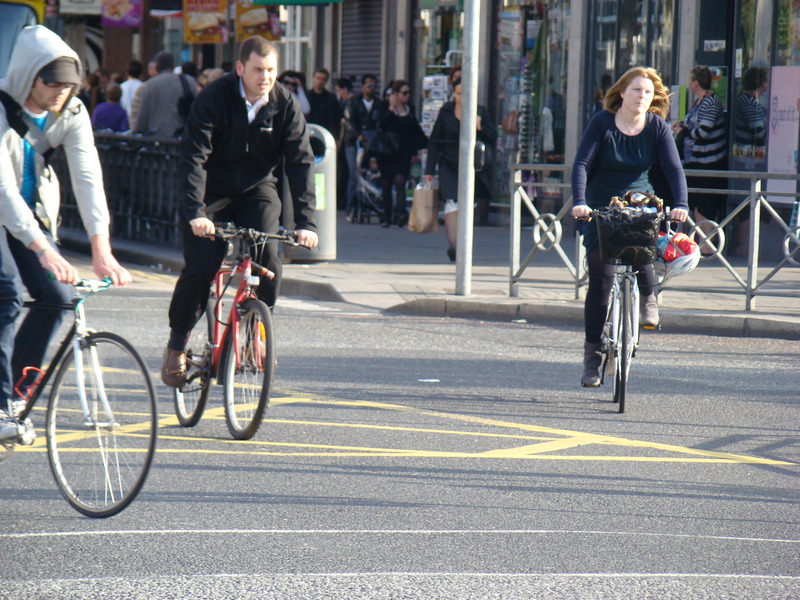 The cycle policy calls for cycling to account for at least 10% of all trips taken nationally by 2020 – it is widely viewed by transport planners that for the national target to be met that Dublin would need to reach a level of 20-25%. The report highlights that there has been “little or no progress in addressing” the issue of large junctions and one-way streets since the last report. He says that “it’s not off the agenda but it kind of went slow” because of planning for Metro North and Luas, but said that “there should be a priority attach to them” – solutions such as contra-flow cycle lanes, which allow cyclists to go legally on otherwise one-way streets. The National Transport Authority said that the repaving, which was focused on bus corridors, improved conditions for cyclists but it was completed after the report.